William Porterfield should keep the Ireland Test and one-day captaincy but the selectors will make the decision, says coach Graham Ford. Porterfield made only nine runs in the Test defeat by Afghanistan last month, and averages 11.60 in his past 11 one-day internationals. The 34-year-old has been captain since 2008. “I can’t confirm either way but for my money he’s got so much to offer,” Ford told Irish broadcaster RTE. 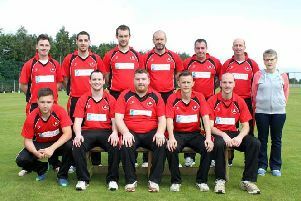 Former Gloucestershire and Warwickshire opener Porterfield was the leading run-scorer in Ireland’s domestic interprovincial series last season. “He brings a whole lot more to the set-up than just the runs that he scores,” said South African Ford, who was appointed in 2017. “He’ll be the first to admit he didn’t perform [against Afghanistan] and he’ll be working flat out to try and put that right. “He sets such high standards for the groups. I have worked with a lot of wonderful, wonderful captains and it’s hard to find someone better than him,” said Ford at an announcement that Turkish Airlines will continue to sponsor the team. 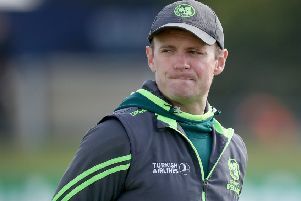 Ireland play England in a one-day international in Malahide on May 3 before the Tri-Nations series against West Indies and Bangladesh begins two days later. Further one-day series take place against Afghanistan and Zimbabwe before the four-day Test against England at Lord’s starts on July 24.